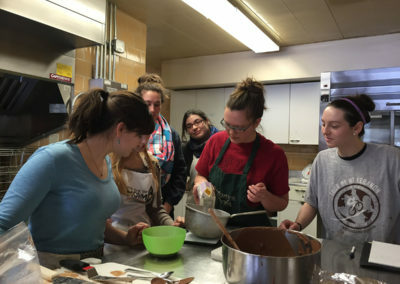 This course explores chocolate as a global product including history and culture, agriculture, direct/fair trade, labor and justice, health, chocolate production, sales, marketing, and sustainability. 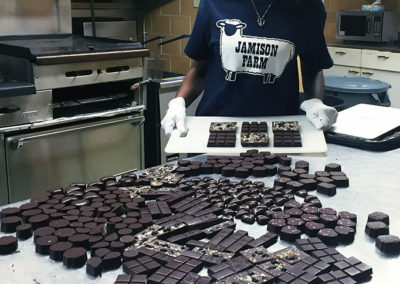 Experiential components include chocolate making, tempering, culinary practices, and site visits to chocolate manufacturers, culminating in the design and marketing of a sustainable chocolate product. 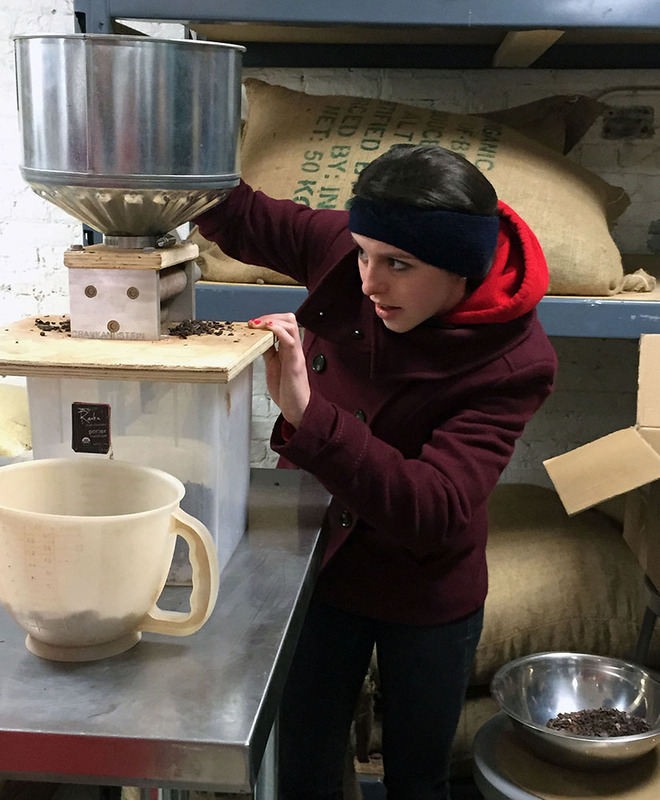 Grinding cacao beans for bean-to-bar chocolate during field work with Raaka Chocolate in Brooklyn. 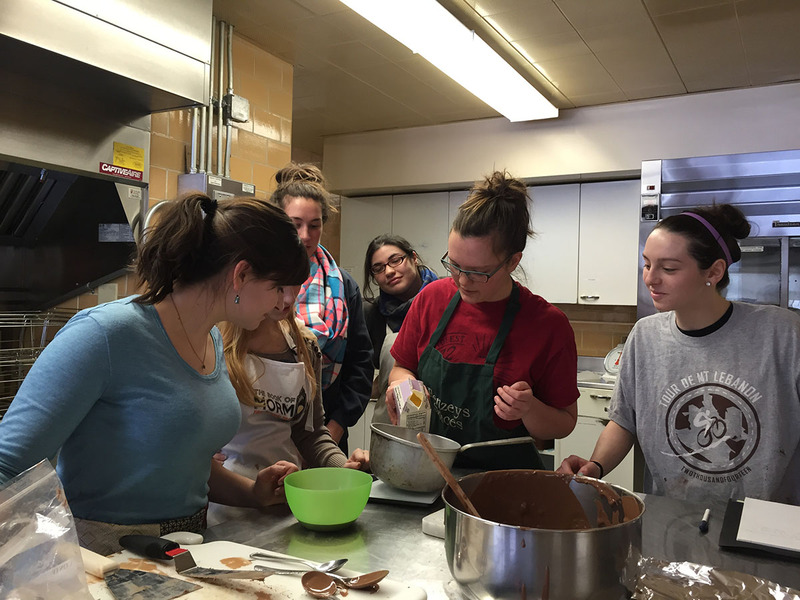 Experimenting with creating chocolates and testing product development concepts in the kitchen. 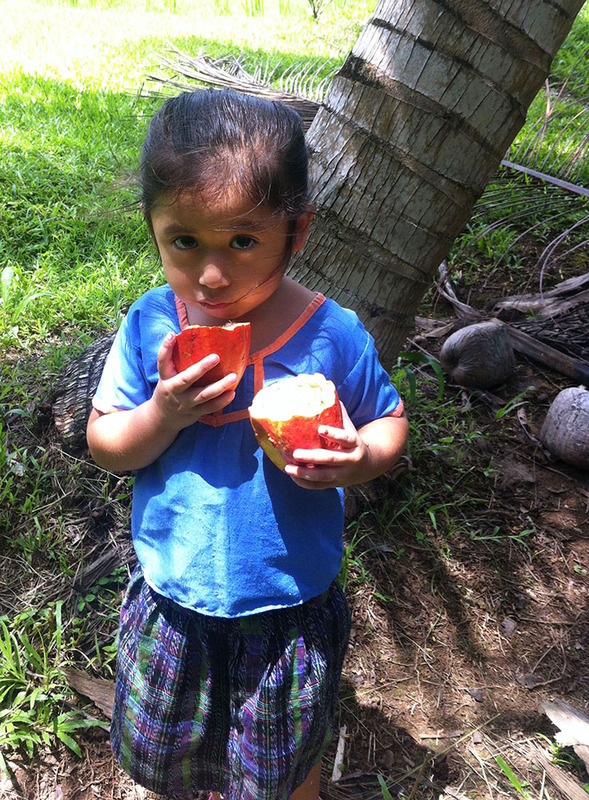 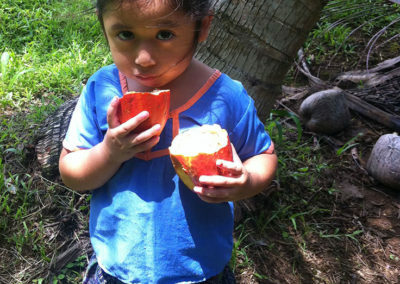 A young girl showing me how to eat fresh cacao fruit in Belize. 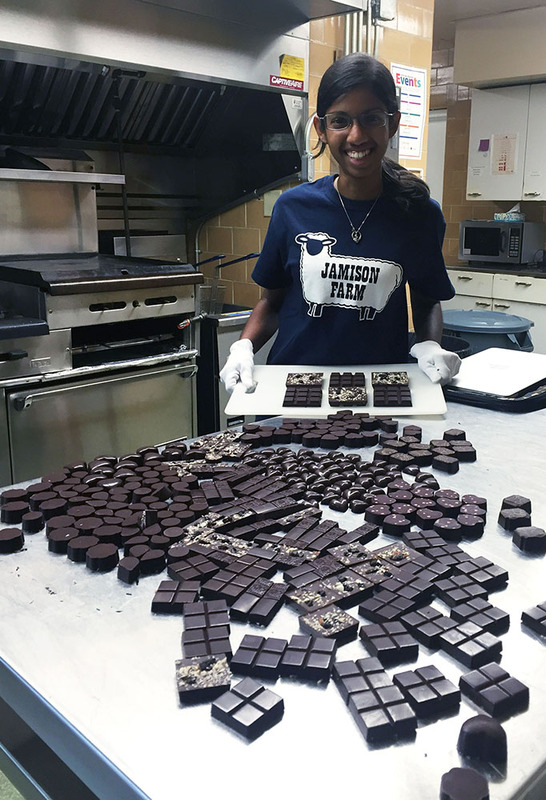 Making specialty bean-to-bar chocolates for her wedding in Germany using cocoa beans from Vietnam and coconut milk powder. 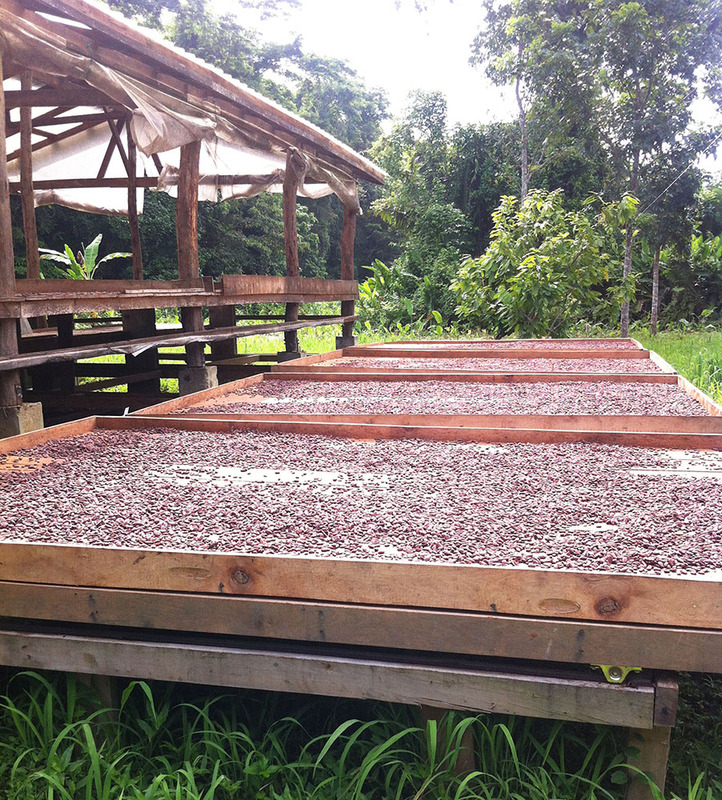 Cocoa Beans drying in the sun during a field work trip to Belize. 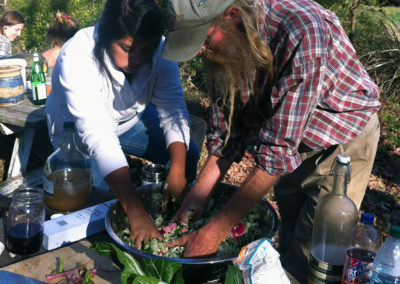 This class focuses on meat production from animal agriculture to slaughter, processing and cooking. 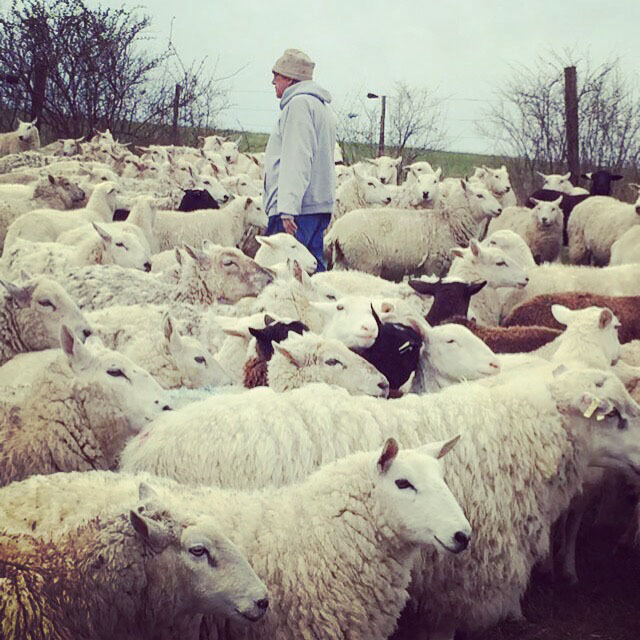 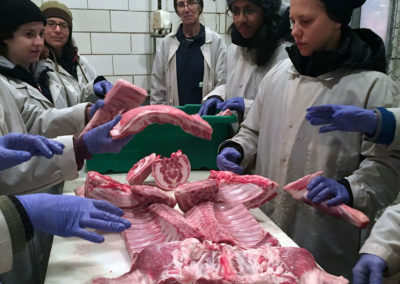 It combines wrestling with the difficult environmental, social, ethical, cultural and historical issues involved in raising and consuming meat with an emphasis on hands-on experiences and visits to meat producers and processors. 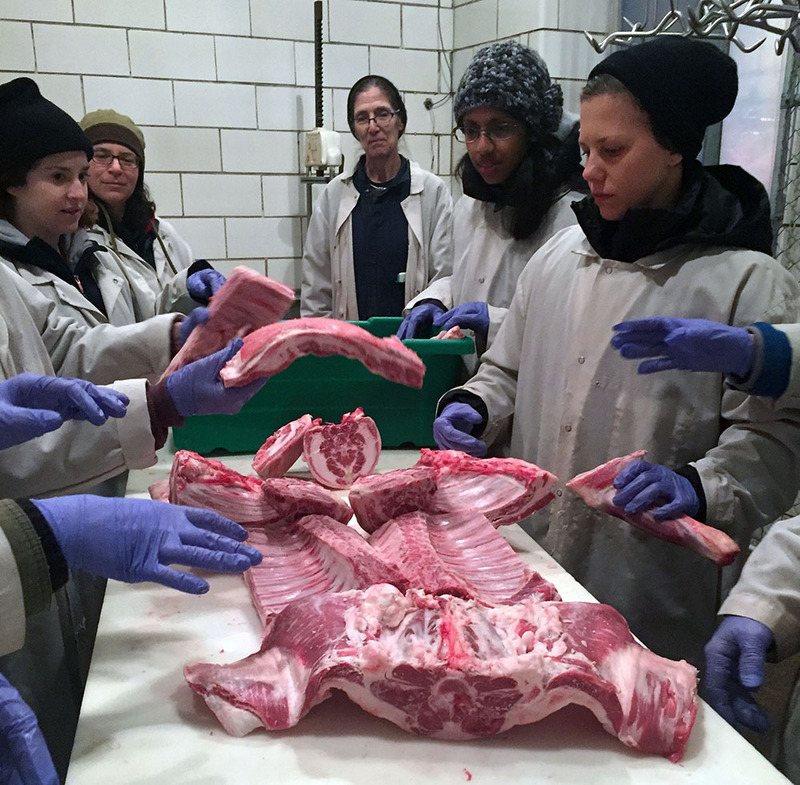 It is taught in collaboration with John and Sukey Jamison, owners of Jamison Farm in Latrobe, PA.
Students working at Jamison Farm in Latrobe, PA learning meat cutting on lamb in their production facility. 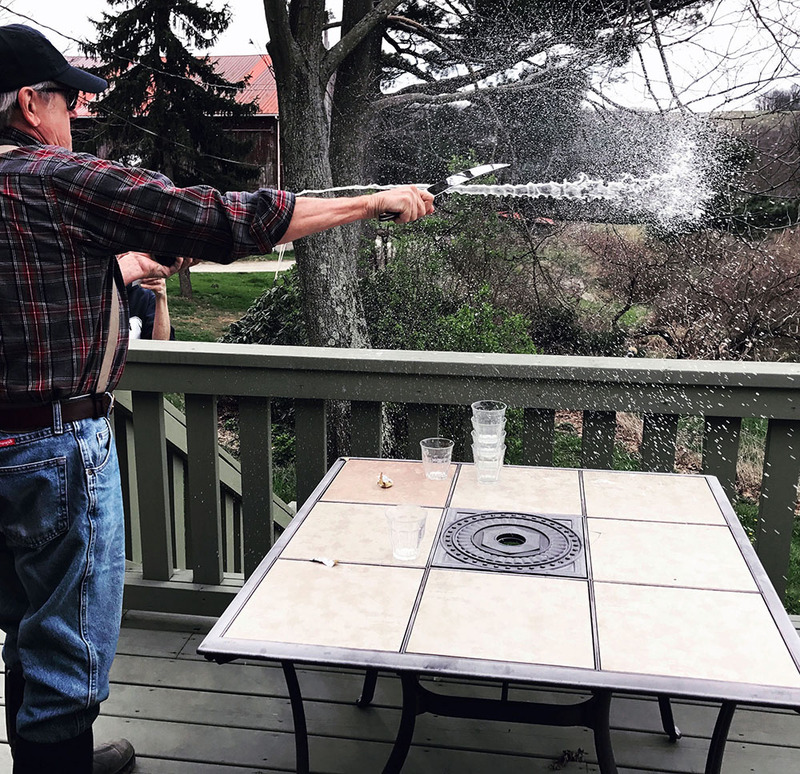 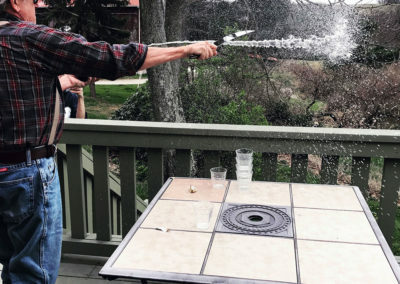 John Jamison sabering a bottle of champagne for our pot-luck final lunch. 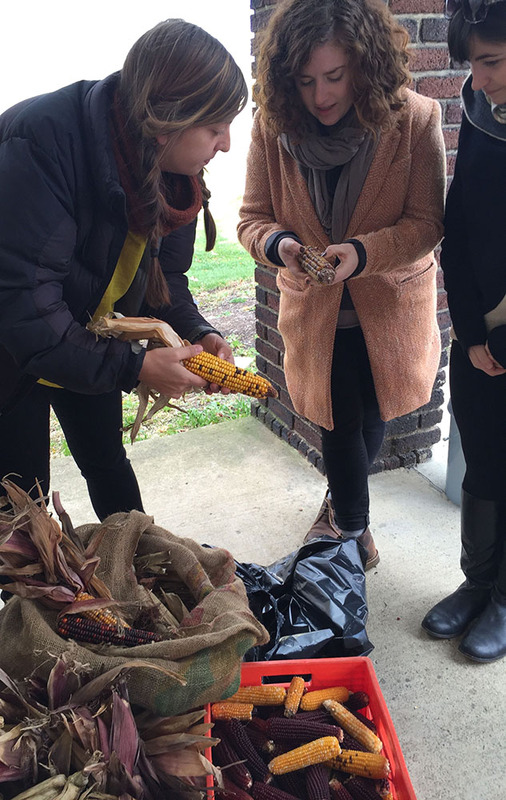 A Food Studies yearly tradition! 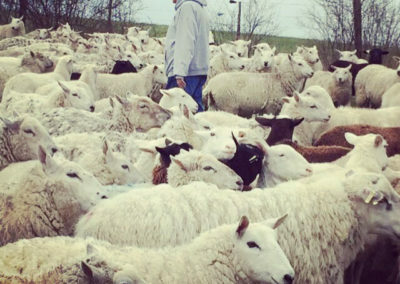 John Jamison working on his farm in Latrobe, PA.
Fermented foods like coffee, chocolate, pickles, bread, cheese, yogurt, charcuterie, vinegar, soy sauce, beer, cider and wine appear in our diets every single day. 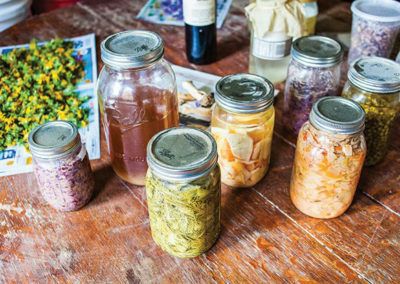 Sandor Katz, the author of The Art of Fermentation wrote, “Fermentation can be an engine of social change and we are starter cultures.” This course explores the culture and process of fermentation. 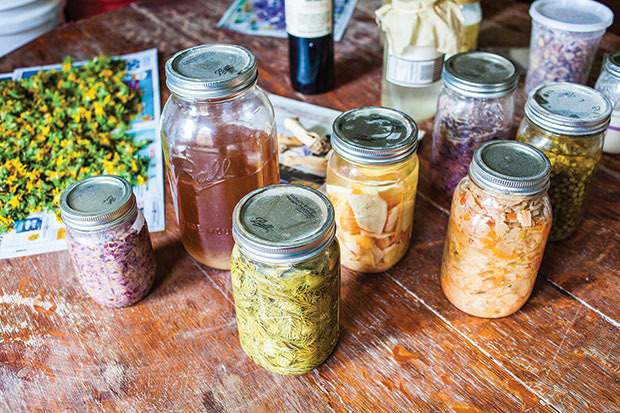 By using fermentation as a metaphor or catalyst for creating cultural and societal change, the culinary topic becomes a practice. 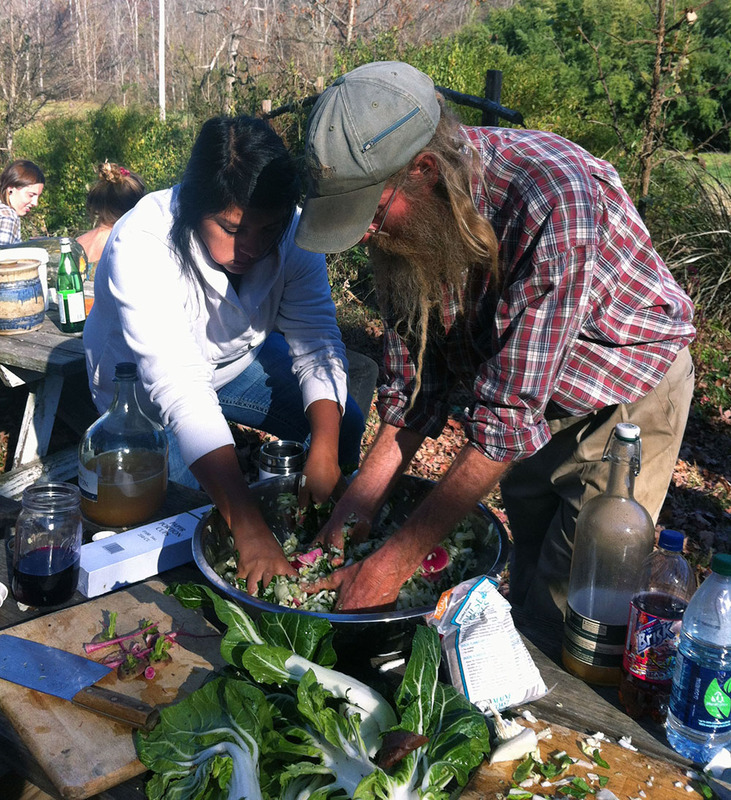 Making kraut during a Sandor Katz fermentation residency in Tennessee. 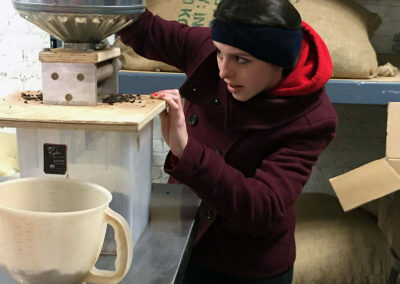 This course focuses on the transformation of grains such as wheat, oats, rice and corn into bread and other consumables. 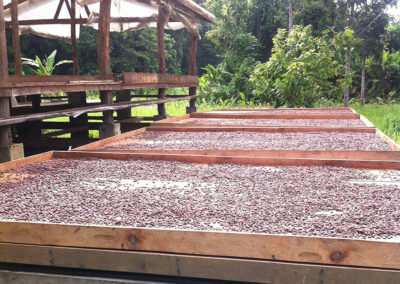 We consider factors including including history, land use, crop development, human nutrition, food processing, sensory evaluation and socioeconomics. 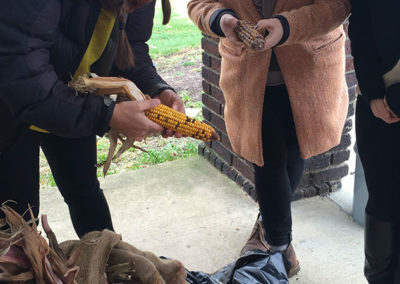 Prepping heritage corn for the husking machine.